Calatayud J, González A. History of the development and evolution of local anesthesia since the coca leaf. Anesthesiology. 2003;98(6):1503-1508. Goldstein RA, DesLauriers C, Burda AM. Cocaine: history, social implications, and toxicity–a review. Dis–Mon DM. 2009;55(1):6-38. doi:10.1016/j.disamonth.2008.10.002. Drent M, Wijnen P, Bast A. Interstitial lung damage due to cocaine abuse: pathogenesis, pharmacogenomics and therapy. Curr Med Chem. 2012;19(33):5607-5611. Center for Behavioral Health Statistics and Quality (CBHSQ). Drug Abuse Warning Network: 2011: Selected Tables of National Estimates of Drug-Related Emergency Department Visits. Rockville, MD: Substance Abuse and Mental Health Services Administration; 2013. Riezzo I, Fiore C, De Carlo D, et al. Side effects of cocaine abuse: multiorgan toxicity and pathological consequences. Curr Med Chem. 2012;19(33):5624-5646. Baik J-H. Dopamine signaling in reward-related behaviors. Front Neural Circuits. 2013;7. doi:10.3389/fncir.2013.00152. Schmidt HD, Pierce RC. Cocaine-induced neuroadaptations in glutamate transmission: potential therapeutic targets for craving and addiction. Ann N Y Acad Sci. 2010;1187:35-75. doi:10.1111/j.1749-6632.2009.05144.x. Wolf ME. The Bermuda Triangle of cocaine-induced neuroadaptations. Trends Neurosci. 2010;33(9):391-398. doi:10.1016/j.tins.2010.06.003. Mantsch JR, Vranjkovic O, Twining RC, Gasser PJ, McReynolds JR, Blacktop JM. Neurobiological mechanisms that contribute to stress-related cocaine use. Neuropharmacology. 2014;76, Part B:383-394. doi:10.1016/j.neuropharm.2013.07.021. Lucantonio F, Stalnaker TA, Shaham Y, Niv Y, Schoenbaum G. The impact of orbitofrontal dysfunction on cocaine addiction. Nat Neurosci. 2012;15(3):358-366. doi:10.1038/nn.3014. Lucantonio F, Takahashi YK, Hoffman AF, et al. Orbitofrontal activation restores insight lost after cocaine use. Nat Neurosci. 2014;17(8):1092-1099. doi:10.1038/nn.3763. Spronk DB, van Wel JHP, Ramaekers JG, Verkes RJ. Characterizing the cognitive effects of cocaine: a comprehensive review. Neurosci Biobehav Rev. 2013;37(8):1838-1859. doi:10.1016/j.neubiorev.2013.07.003. Advokat C, Comaty J, Julien R. Julien’s Primer of Drug Action. 13th ed. New York, NY: Worth Publishers; 2014. Fonseca AC, Ferro JM. Drug abuse and stroke. Curr Neurol Neurosci Rep. 2013;13(2):325. doi:10.1007/s11910-012-0325-0. Pennings EJM, Leccese AP, Wolff FA de. Effects of concurrent use of alcohol and cocaine. Addict Abingdon Engl. 2002;97(7):773-783. 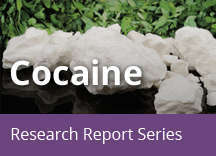 Büttner A. Neuropathological alterations in cocaine abuse. Curr Med Chem. 2012;19(33):5597-5600. Mateos-García A, Roger-Sánchez C, Rodriguez-Arias M, et al. Higher sensitivity to the conditioned rewarding effects of cocaine and MDMA in High-Novelty-Seekers mice exposed to a cocaine binge during adolescence. Psychopharmacology (Berl). 2015;232(1):101-113. doi:10.1007/s00213-014-3642-y. Maraj S, Figueredo VM, Lynn Morris D. Cocaine and the heart. Clin Cardiol. 2010;33(5):264-269. doi:10.1002/clc.20746. Sinha R. The clinical neurobiology of drug craving. Curr Opin Neurobiol. 2013;23(4):649-654. doi:10.1016/j.conb.2013.05.001. Khalsa JH, Elkashef A. Interventions for HIV and hepatitis C virus infections in recreational drug users. Clin Infect Dis. 2010;50(11):1505-1511. doi:10.1086/652447. Buch S, Yao H, Guo M, et al. Cocaine and HIV-1 interplay in CNS: cellular and molecular mechanisms. Curr HIV Res. 2012;10(5):425-428. Parikh N, Nonnemacher MR, Pirrone V, Block T, Mehta A, Wigdahl B. Substance abuse, HIV-1 and hepatitis. Curr HIV Res. 2012;10(7):557-571. Wendell AD. Overview and epidemiology of substance abuse in pregnancy. Clin Obstet Gynecol. 2013;56(1):91-96. doi:10.1097/GRF.0b013e31827feeb9. Cain MA, Bornick P, Whiteman V. The maternal, fetal, and neonatal effects of cocaine exposure in pregnancy. Clin Obstet Gynecol. 2013;56(1):124-132. doi:10.1097/GRF.0b013e31827ae167. Hull L, May J, Farrell-Moore D, Svikis DS. Treatment of cocaine abuse during pregnancy: translating research to clinical practice. Curr Psychiatry Rep. 2010;12(5):454-461. doi:10.1007/s11920-010-0138-2. Schottenfeld RS, Moore B, Pantalon MV. Contingency management with community reinforcement approach or twelve-step facilitation drug counseling for cocaine dependent pregnant women or women with young children. Drug Alcohol Depend. 2011;118(1):48-55. doi:10.1016/j.drugalcdep.2011.02.019. Behnke M, Smith VC, Abuse C on S, Newborn C on FA. Prenatal substance abuse: short- and long-term effects on the exposed fetus. Pediatrics. 2013;131(3):e1009-e1024. doi:10.1542/peds.2012-3931. Gouin K, Murphy K, Shah PS, Knowledge Synthesis group on Determinants of Low Birth Weight and Preterm Births. Effects of cocaine use during pregnancy on low birthweight and preterm birth: systematic review and metaanalyses. Am J Obstet Gynecol. 2011;204(4):340.e1-e12. doi:10.1016/j.ajog.2010.11.013. Lambert BL, Bauer CR. Developmental and behavioral consequences of prenatal cocaine exposure: a review. J Perinatol Off J Calif Perinat Assoc. 2012;32(11):819-828. doi:10.1038/jp.2012.90. Lester BM, Lagasse LL. Children of addicted women. J Addict Dis. 2010;29(2):259-276. doi:10.1080/10550881003684921. Ackerman JP, Riggins T, Black MM. A review of the effects of prenatal cocaine exposure among school-aged children. Pediatrics. 2010;125(3):554-565. doi:10.1542/peds.2009-0637. Buckingham-Howes S, Berger SS, Scaletti LA, Black MM. Systematic review of prenatal cocaine exposure and adolescent development. Pediatrics. 2013;131(6):e1917-e1936. doi:10.1542/peds.2012-0945. Li K, Zhu D, Guo L, et al. Connectomics signatures of prenatal cocaine exposure affected adolescent brains. Hum Brain Mapp. 2013;34(10):2494-2510. doi:10.1002/hbm.22082. Center for Behavioral Health Statistics and Quality (CBHSQ). Treatment Episode Data Set (TEDS): 2003-2013. National Admissions to Substance Abuse Treatment Services. Rockville, MD: Substance Abuse and Mental Health Services Administration; 2015. BHSIS Series S-75, HHS Publication No. (SMA) 15-4934. Shorter D, Domingo CB, Kosten TR. Emerging drugs for the treatment of cocaine use disorder: a review of neurobiological targets and pharmacotherapy. Expert Opin Emerg Drugs. 2015;20(1):15-29. doi:10.1517/14728214.2015.985203. Karila L, Reynaud M, Aubin H-J, et al. Pharmacological treatments for cocaine dependence: is there something new? Curr Pharm Des. 2011;17(14):1359-1368. Kampman KM. What’s new in the treatment of cocaine addiction? Curr Psychiatry Rep. 2010;12(5):441-447. doi:10.1007/s11920-010-0143-5. Harvey-Lewis C, Li Z, Higgins GA, Fletcher PJ. The 5-HT2C receptor agonist lorcaserin reduces cocaine self-administration, reinstatement of cocaine-seeking and cocaine induced locomotor activity. Neuropharmacology. 2016;101:237-245. doi:10.1016/j.neuropharm.2015.09.028. Shorter D, Nielsen DA, Huang W, Harding MJ, Hamon SC, Kosten TR. Pharmacogenetic randomized trial for cocaine abuse: disulfiram and α1A-adrenoceptor gene variation. Eur Neuropsychopharmacol J Eur Coll Neuropsychopharmacol. 2013;23(11):1401-1407. doi:10.1016/j.euroneuro.2013.05.014. Spellicy CJ, Kosten TR, Hamon SC, Harding MJ, Nielsen DA. ANKK1 and DRD2 pharmacogenetics of disulfiram treatment for cocaine abuse. Pharmacogenet Genomics. 2013;23(7):333-340. doi:10.1097/FPC.0b013e328361c39d. Kosten TR, Wu G, Huang W, et al. Pharmacogenetic randomized trial for cocaine abuse: disulfiram and dopamine β-hydroxylase. Biol Psychiatry. 2013;73(3):219-224. doi:10.1016/j.biopsych.2012.07.011. Kosten TR, Domingo CB. Can you vaccinate against substance abuse? Expert Opin Biol Ther. 2013;13(8):1093-1097. doi:10.1517/14712598.2013.791278. Martell BA, Orson FM, Poling J, et al. Cocaine vaccine for the treatment of cocaine dependence in methadone-maintained patients: a randomized, double-blind, placebo-controlled efficacy trial. Arch Gen Psychiatry. 2009;66(10):1116-1123. doi:10.1001/archgenpsychiatry.2009.128. Cai X, Tsuchikama K, Janda KD. Modulating cocaine vaccine potency through hapten fluorination. J Am Chem Soc. 2013;135(8):2971-2974. doi:10.1021/ja400356g. Brimijoin S, Shen X, Orson F, Kosten T. Prospects, promise and problems on the road to effective vaccines and related therapies for substance abuse. Expert Rev Vaccines. 2013;12(3):323-332. doi:10.1586/erv.13.1. Nielsen DA, Hamon SC, Kosten TR. The κ-opioid receptor gene as a predictor of response in a cocaine vaccine clinical trial. Psychiatr Genet. 2013;23(6):225-232. doi:10.1097/YPG.0000000000000008. Schindler CW, Goldberg SR. Accelerating cocaine metabolism as an approach to the treatment of cocaine abuse and toxicity. Future Med Chem. 2012;4(2):163-175. doi:10.4155/fmc.11.181. Penberthy JK, Ait-Daoud N, Vaughan M, Fanning T. Review of treatment for cocaine dependence. 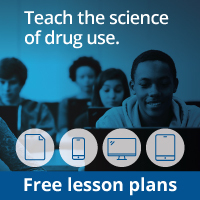 Curr Drug Abuse Rev. 2010;3(1):49-62. Petry NM, Barry D, Alessi SM, Rounsaville BJ, Carroll KM. A randomized trial adapting contingency management targets based on initial abstinence status of cocaine-dependent patients. J Consult Clin Psychol. 2012;80(2):276-285. doi:10.1037/a0026883. Schierenberg A, van Amsterdam J, van den Brink W, Goudriaan AE. Efficacy of contingency management for cocaine dependence treatment: a review of the evidence. Curr Drug Abuse Rev. 2012;5(4):320-331. Petry NM, Alessi SM, Rash CJ. Contingency management treatments decrease psychiatric symptoms. J Consult Clin Psychol. 2013;81(5):926-931. doi:10.1037/a0032499. Carroll KM, Ball SA, Martino S, et al. Computer-assisted delivery of cognitive-behavioral therapy for addiction: a randomized trial of CBT4CBT. Am J Psychiatry. 2008;165(7):881-888. doi:10.1176/appi.ajp.2008.07111835. Carroll KM, Ball SA, Martino S, Nich C, Babuscio TA, Rounsaville BJ. Enduring effects of a computer-assisted training program for cognitive behavioral therapy: a 6-month follow-up of CBT4CBT. Drug Alcohol Depend. 2009;100(1-2):178-181. doi:10.1016/j.drugalcdep.2008.09.015. Carroll KM, Kiluk BD, Nich C, et al. Computer-assisted delivery of cognitive-behavioral therapy: efficacy and durability of CBT4CBT among cocaine-dependent individuals maintained on methadone. Am J Psychiatry. 2014;171(4):436-444. doi:10.1176/appi.ajp.2013.13070987. Vanderplasschen W, Colpaert K, Autrique M, et al. Therapeutic communities for addictions: a review of their effectiveness from a recovery-oriented perspective. Sci World J. 2013;2013, 2013:e427817. doi:10.1155/2013/427817. Leon GD. Is the therapeutic community an evidence based treatment? What the evidence says. Ther Communities Int Jdournal Ther Support Organ. 2010;31(2):104-128. McKay JR, Van Horn D, Rennert L, Drapkin M, Ivey M, Koppenhaver J. Factors in sustained recovery from cocaine dependence. J Subst Abuse Treat. 2013;45(2):163-172. doi:10.1016/j.jsat.2013.02.007. Farabee D, Cousins SJ, Brecht M-L, et al. A comparison of four telephone-based counseling styles for recovering stimulant users. Psychol Addict Behav. 2013;27(1):223-229. doi:10.1037/a0029572. Van Horn DHA, Drapkin M, Ivey M, et al. Voucher incentives increase treatment participation in telephone-based continuing care for cocaine dependence. Drug Alcohol Depend. 2011;114(2-3):225-228. doi:10.1016/j.drugalcdep.2010.09.007. Donovan DM, Daley DC, Brigham GS, et al. Stimulant abuser groups to engage in 12-step: a multisite trial in the National Institute on Drug Abuse Clinical Trials Network. J Subst Abuse Treat. 2013;44(1):103-114. doi:10.1016/j.jsat.2012.04.004. Agrawal A, Verweij KJH, Gillespie NA, et al. The genetics of addiction-a translational perspective. Transl Psychiatry. 2012;2:e140. doi:10.1038/tp.2012.54. Drgon T, Zhang P-W, Johnson C, et al. Genome wide association for addiction: replicated results and comparisons of two analytic approaches. PloS One. 2010;5(1):e8832. doi:10.1371/journal.pone.0008832. Kreek MJ, Levran O, Reed B, Schlussman SD, Zhou Y, Butelman ER. Opiate addiction and cocaine addiction: underlying molecular neurobiology and genetics. J Clin Invest. 2012;122(10):3387-3393. doi:10.1172/JCI60390. Nestler EJ. Epigenetic mechanisms of drug addiction. Neuropharmacology. 2014;76 Pt B:259-268. doi:10.1016/j.neuropharm.2013.04.004. Schmidt HD, McGinty JF, West AE, Sadri-Vakili G. Epigenetics and psychostimulant addiction. Cold Spring Harb Perspect Med. 2013;3(3):a012047. doi:10.1101/cshperspect.a012047. Vassoler FM, Sadri-Vakili G. Mechanisms of transgenerational inheritance of addictive-like behaviors. Neuroscience. 2014;264:198-206. doi:10.1016/j.neuroscience.2013.07.064. Young KA, Franklin TR, Roberts DCS, et al. Nipping cue reactivity in the bud: baclofen prevents limbic activation elicited by subliminal drug cues. J Neurosci Off J Soc Neurosci. 2014;34(14):5038-5043. doi:10.1523/JNEUROSCI.4977-13.2014. Gu H, Salmeron BJ, Ross TJ, et al. Mesocorticolimbic circuits are impaired in chronic cocaine users as demonstrated by resting-state functional connectivity. NeuroImage. 2010;53(2):593-601. doi:10.1016/j.neuroimage.2010.06.066. McHugh MJ, Demers CH, Salmeron BJ, Devous MD, Stein EA, Adinoff B. Cortico-amygdala coupling as a marker of early relapse risk in cocaine-addicted individuals. Front Psychiatry. 2014;5:16. doi:10.3389/fpsyt.2014.00016. Wisner KM, Patzelt EH, Lim KO, MacDonald AW. An intrinsic connectivity network approach to insula-derived dysfunctions among cocaine users. Am J Drug Alcohol Abuse. 2013;39(6):403-413. doi:10.3109/00952990.2013.848211. Kelly C, Zuo X-N, Gotimer K, et al. Reduced interhemispheric resting state functional connectivity in cocaine addiction. Biol Psychiatry. 2011;69(7):684-692. doi:10.1016/j.biopsych.2010.11.022. Connolly CG, Bell RP, Foxe JJ, Garavan H. Dissociated grey matter changes with prolonged addiction and extended abstinence in cocaine users. PLoS ONE. 2013;8(3):e59645. doi:10.1371/journal.pone.0059645. Bell RP, Foxe JJ, Ross LA, Garavan H. Intact inhibitory control processes in abstinent drug abusers (I): a functional neuroimaging study in former cocaine addicts. Neuropharmacology. 2014;82:143-150. doi:10.1016/j.neuropharm.2013.02.018.